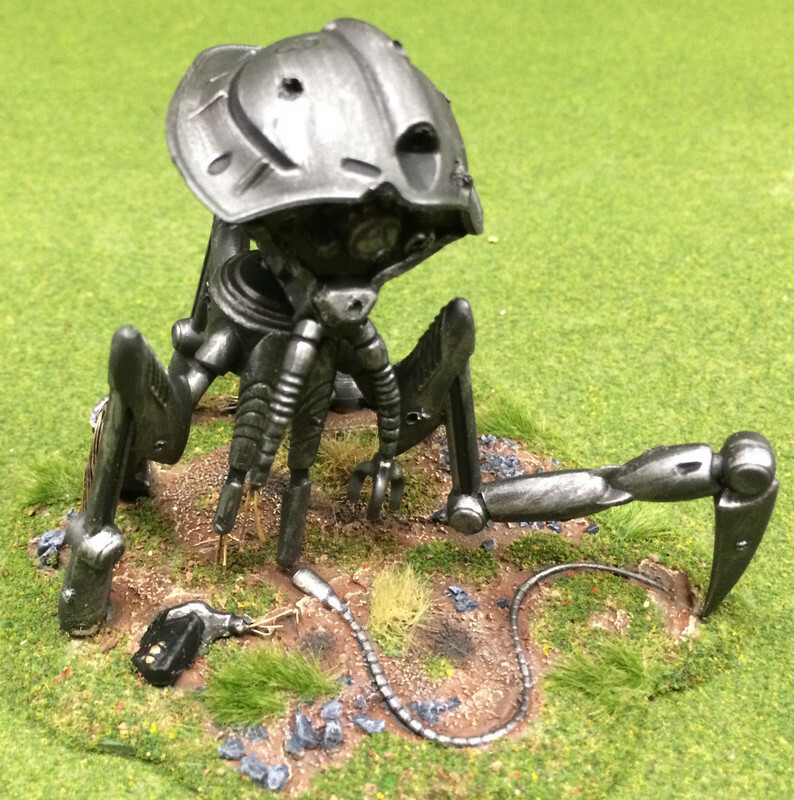 I recently expanded my Martian force for All Quiet on the Martian Front. 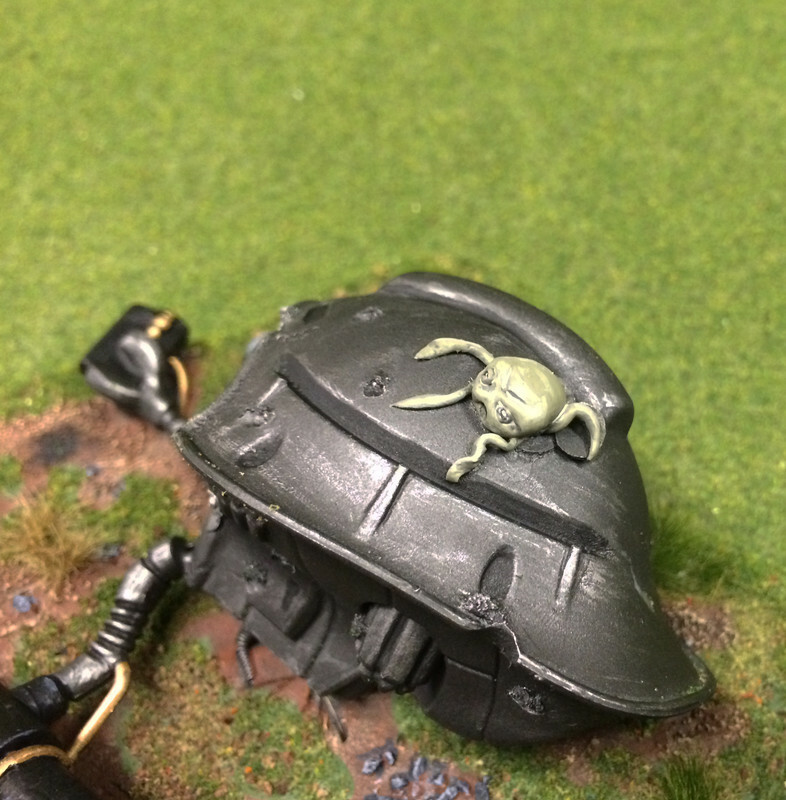 The models for this game are so nice that when a Martian tripod is destroyed I like to have a wreck model to put on the table instead of just removing the destroyed tripod. So, since I was adding more tripods, I needed more wrecks! 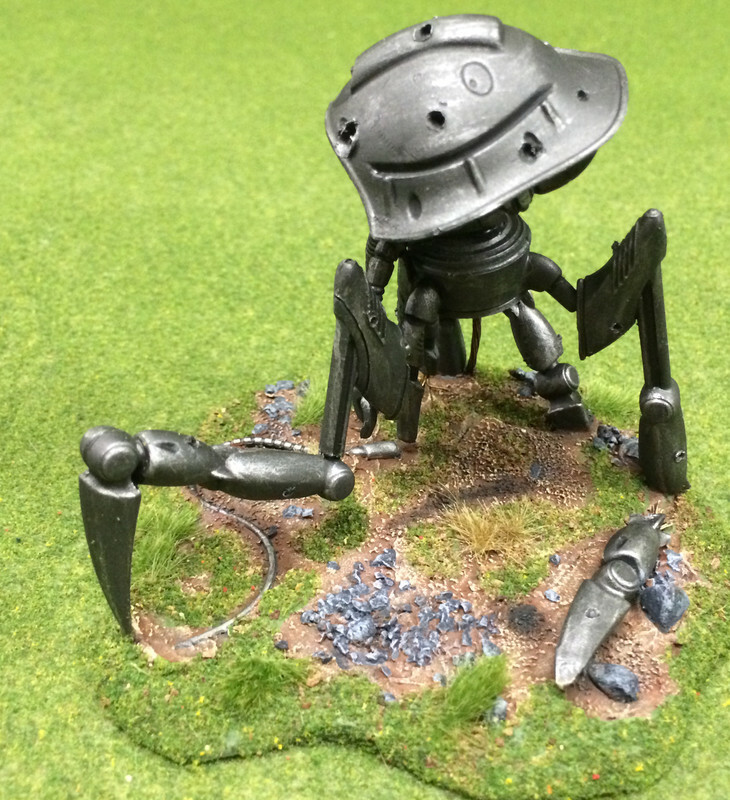 The plastic tripods are wonderfully easy to work with and making the wrecks opens all sorts of cool possibilities. 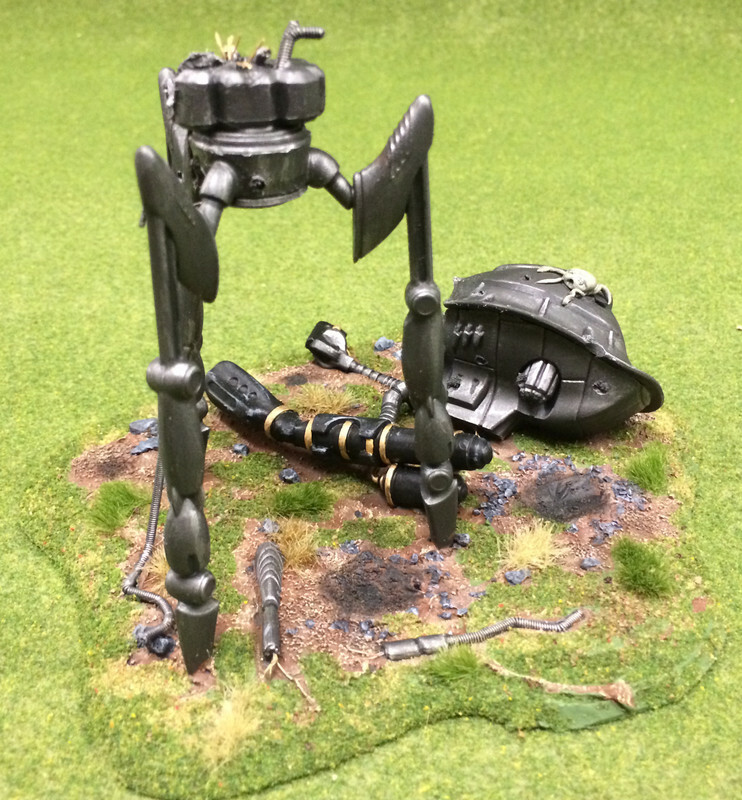 I didn’t have any wrecked scout tripods, so I made two. 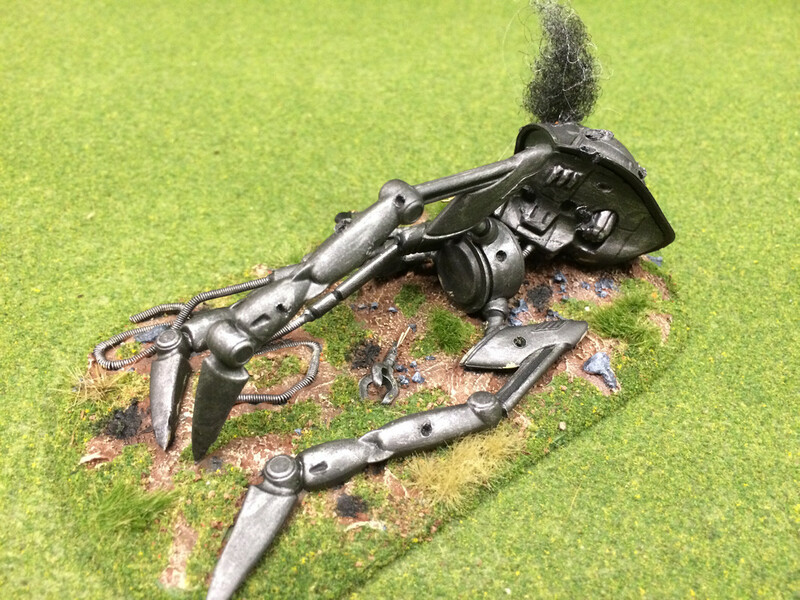 One fallen to the ground. Another that was still standing. 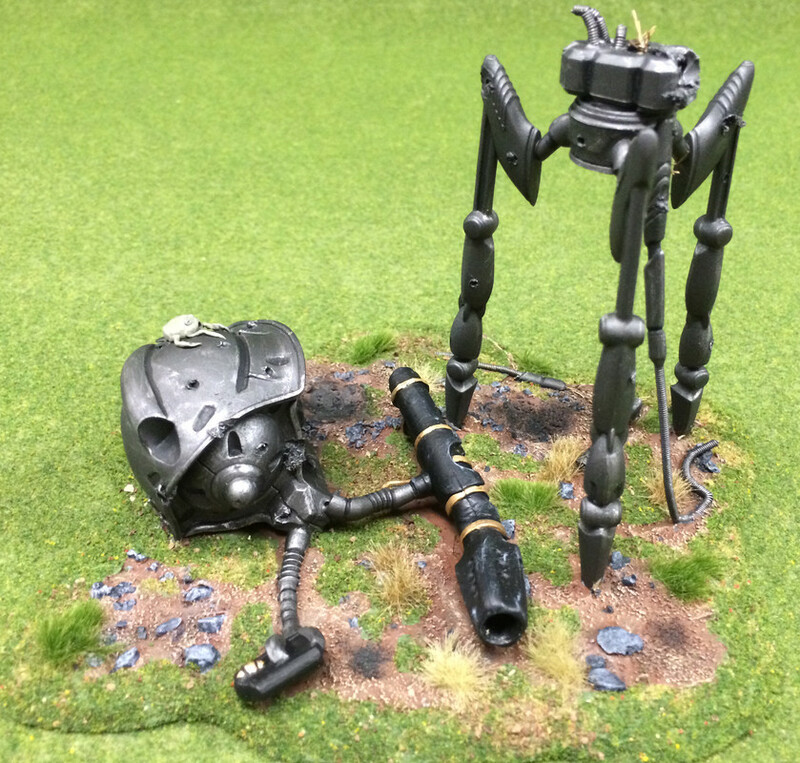 And I did an assault tripod which had had its upper body and head blown completely off, leaving the legs standing alone. Would a living martian have three legs and three "arms" with three manipulators each? You Martian looks kinda cute. 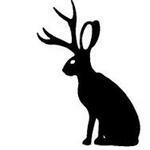 It is quite lucky to have survived the decapitation of his machine. But not so lucky when Rebecca shows up. She is not into cute. I do like the kneeling machine.